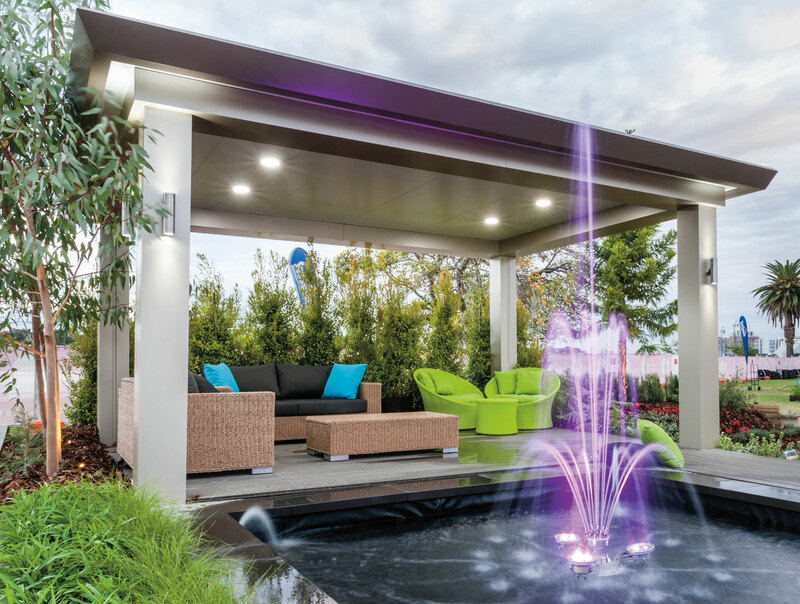 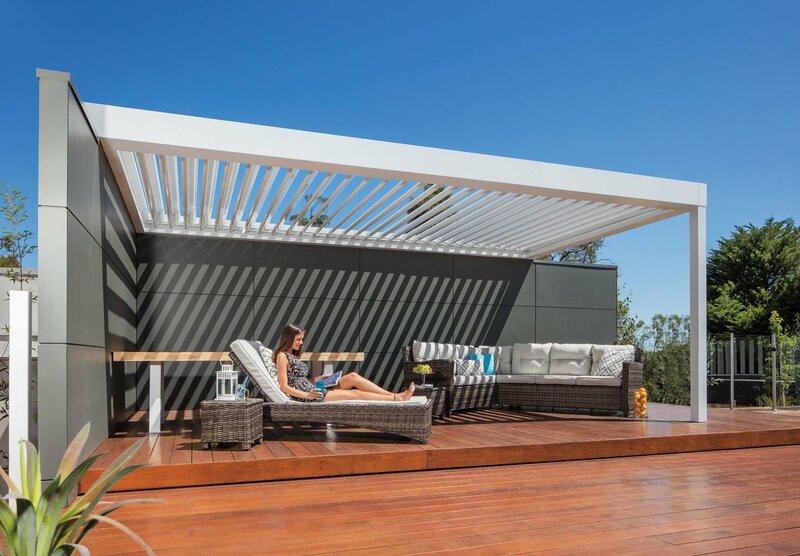 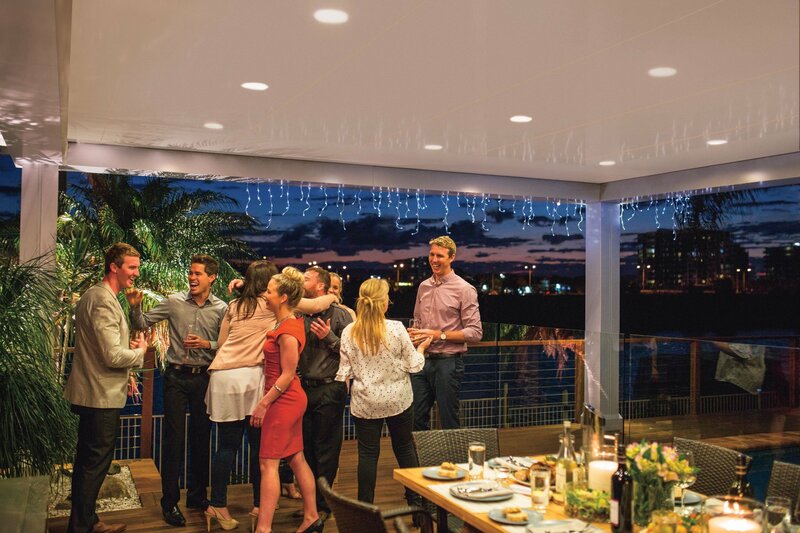 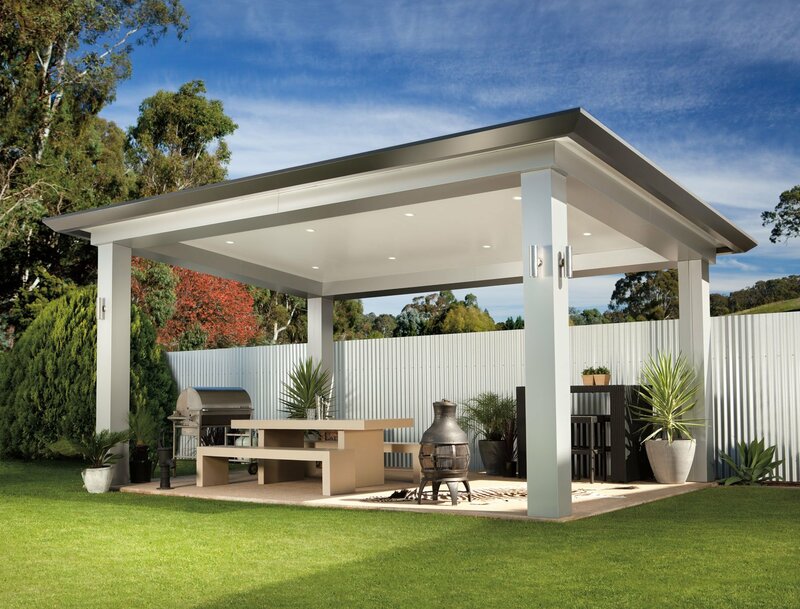 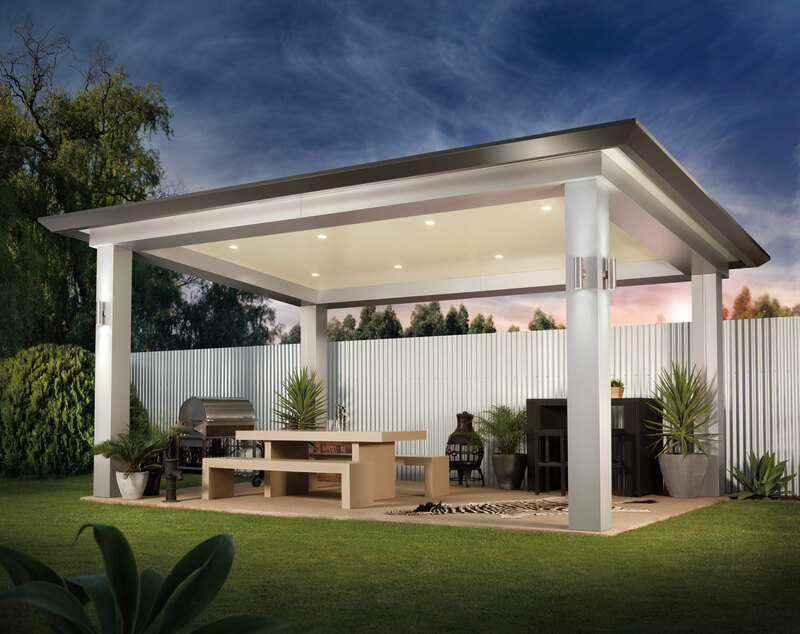 Experience outdoor living like never before with the unparalleled aesthetic of a Pavilion Patio by Stratco. 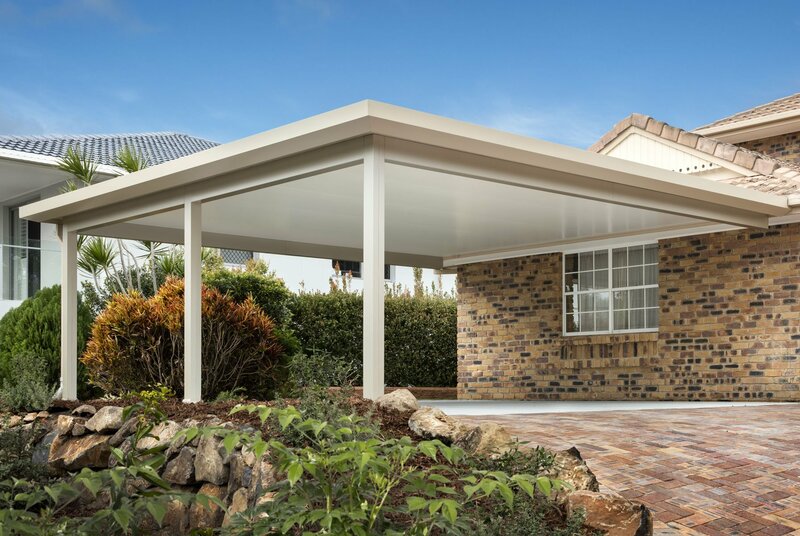 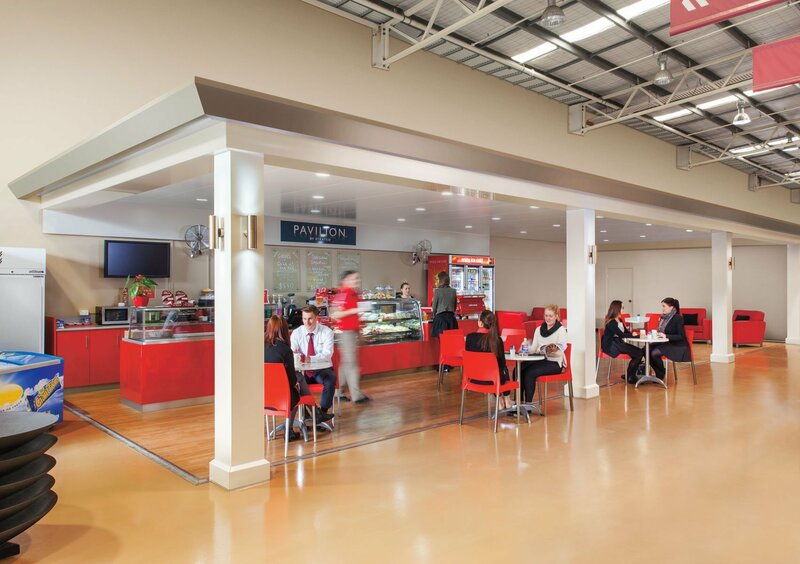 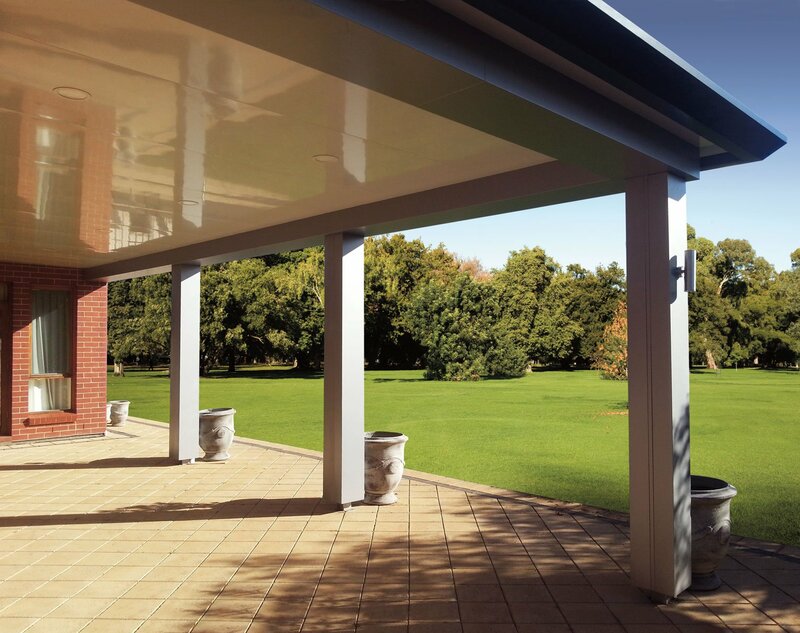 The classical architectural proportions of Pavilion created by larger columns and bulkheads, and the distinctive Edge gutter, respond to emerging trends for a more substantial looking structure. 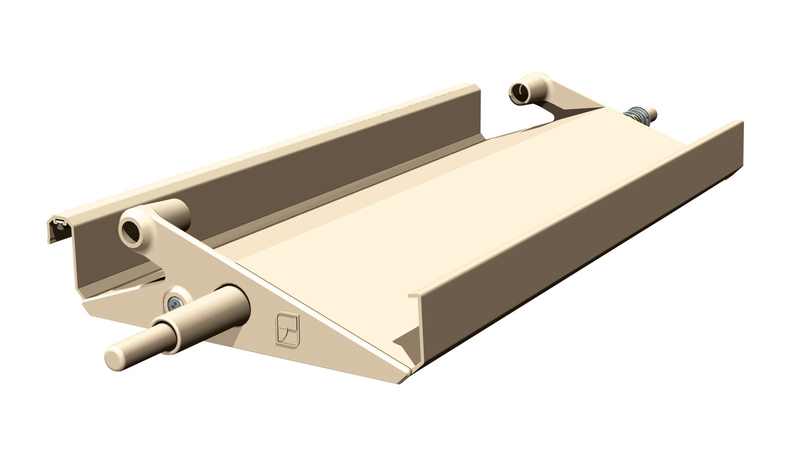 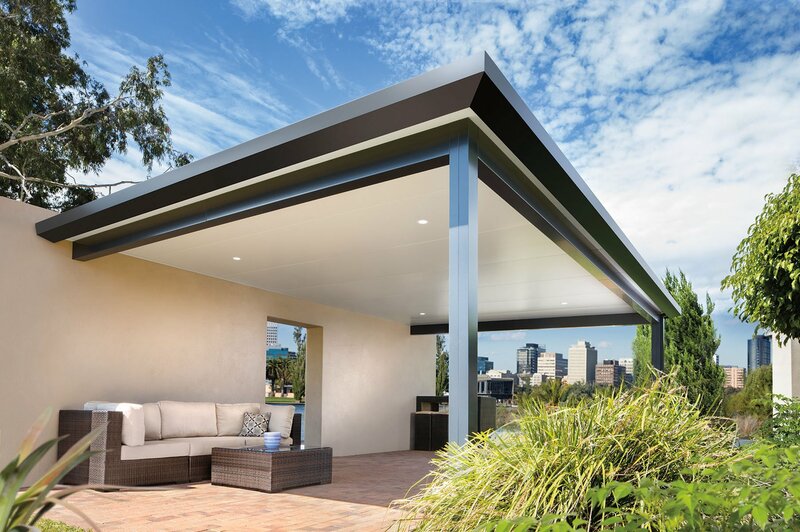 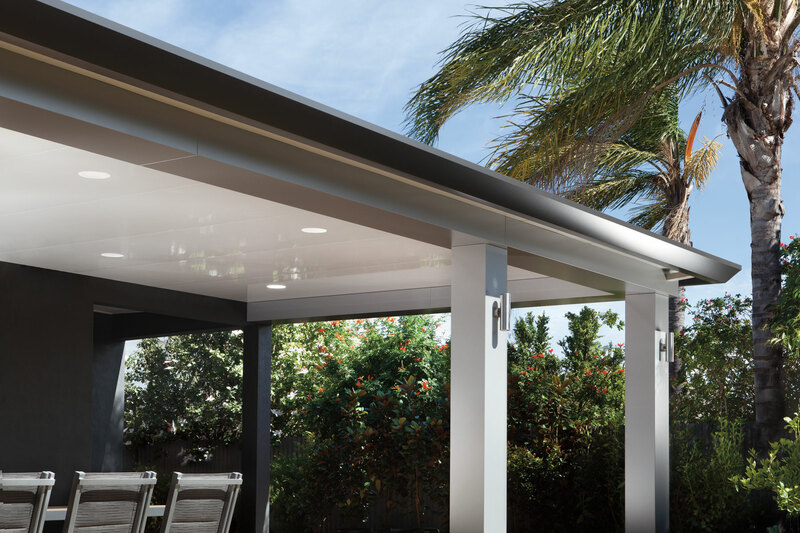 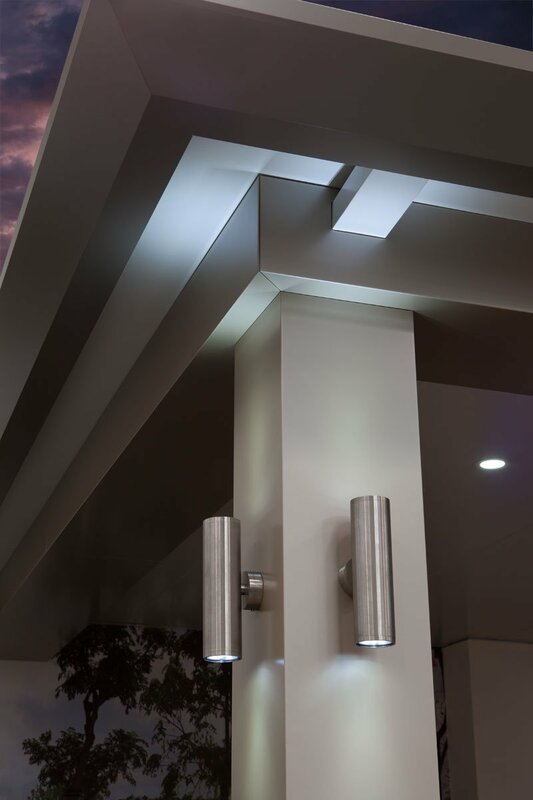 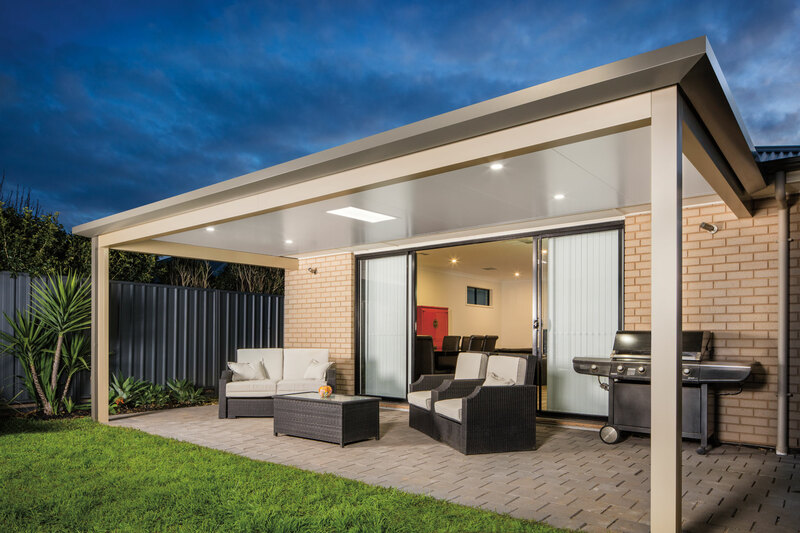 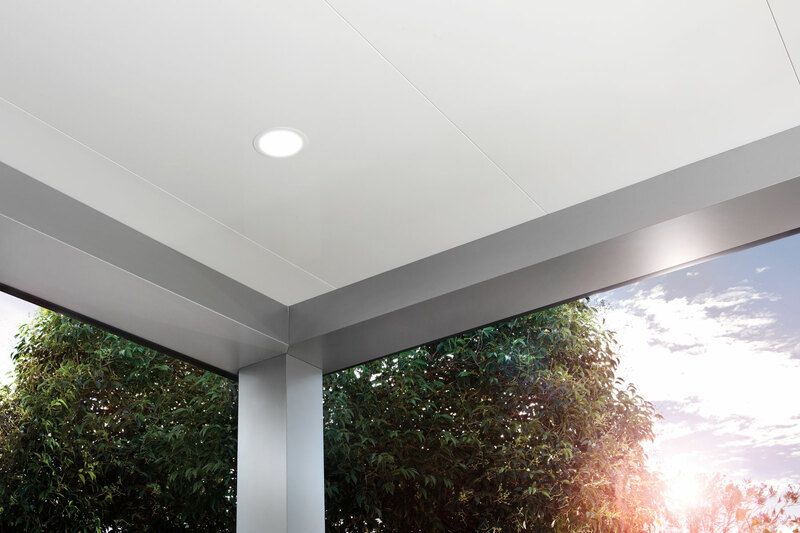 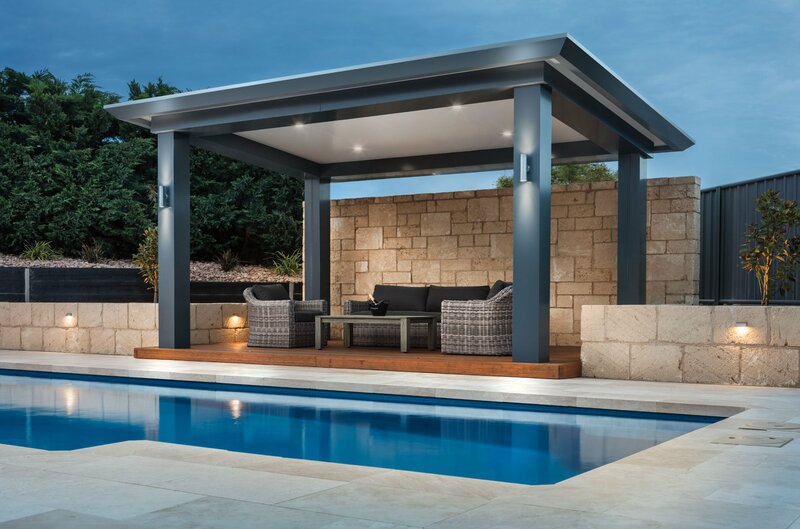 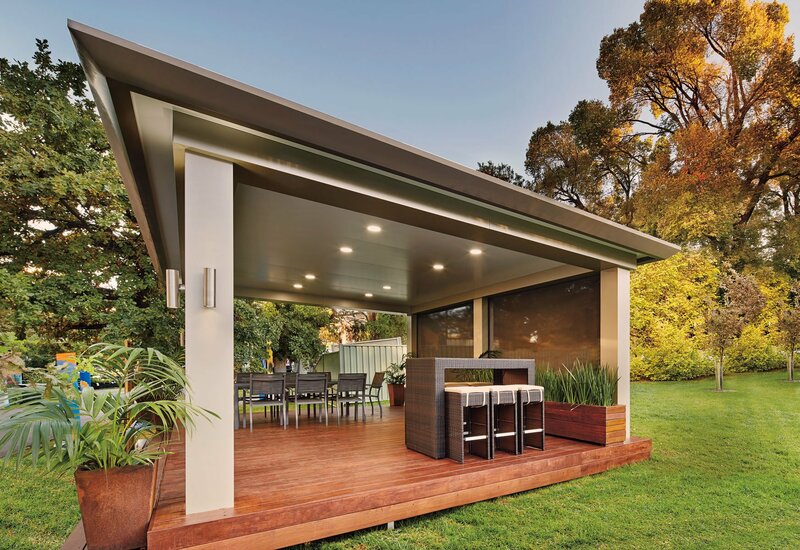 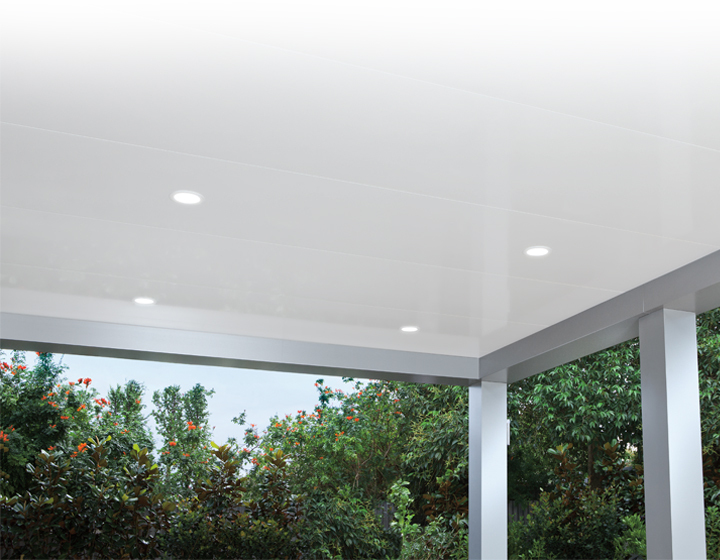 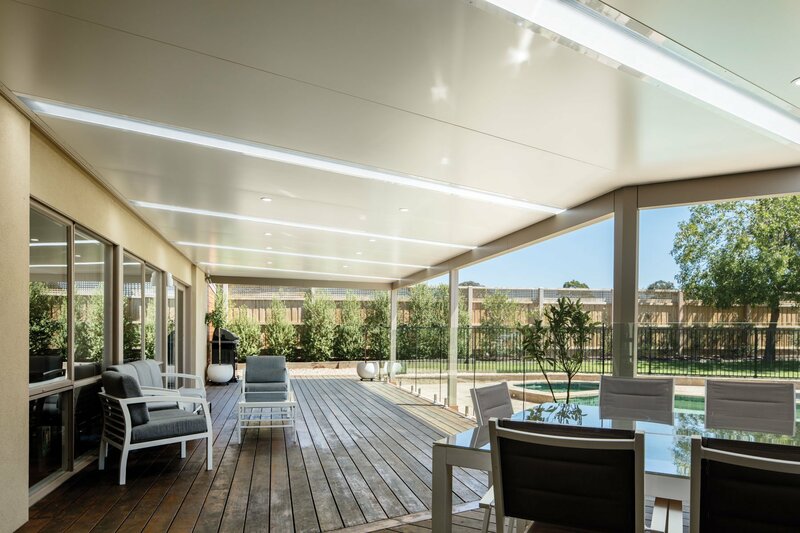 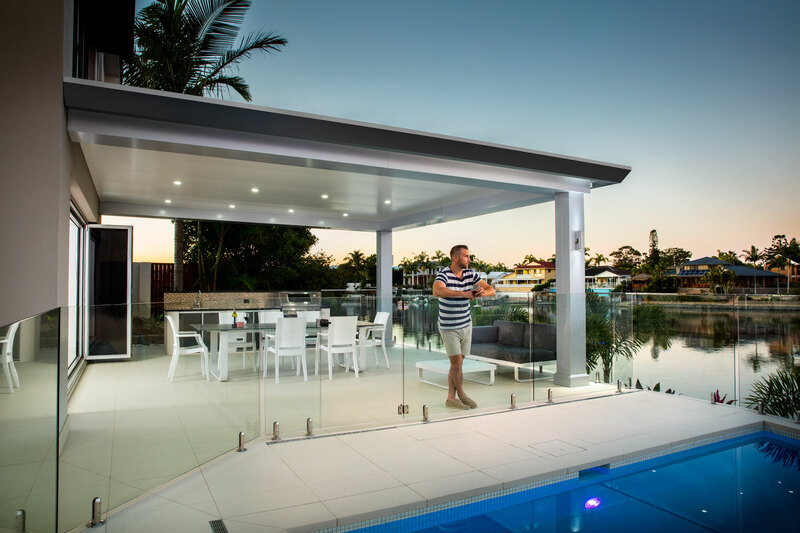 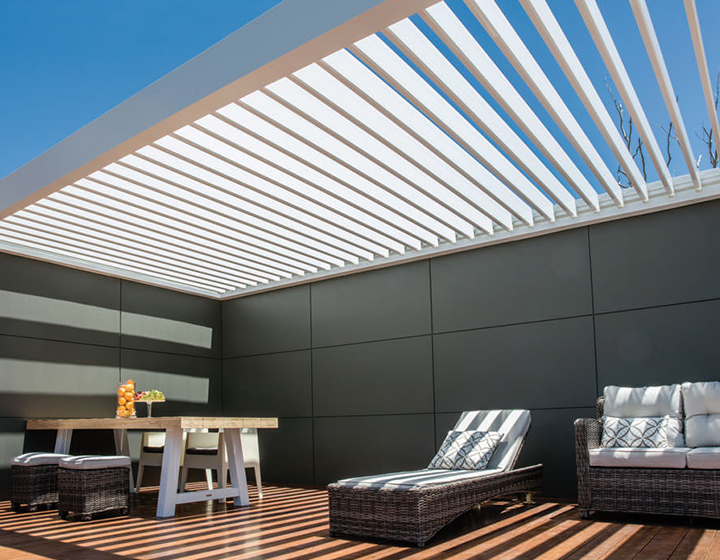 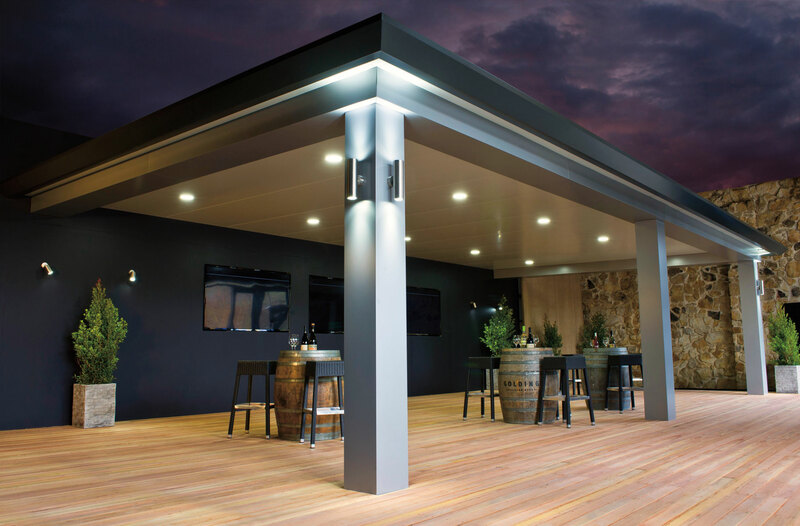 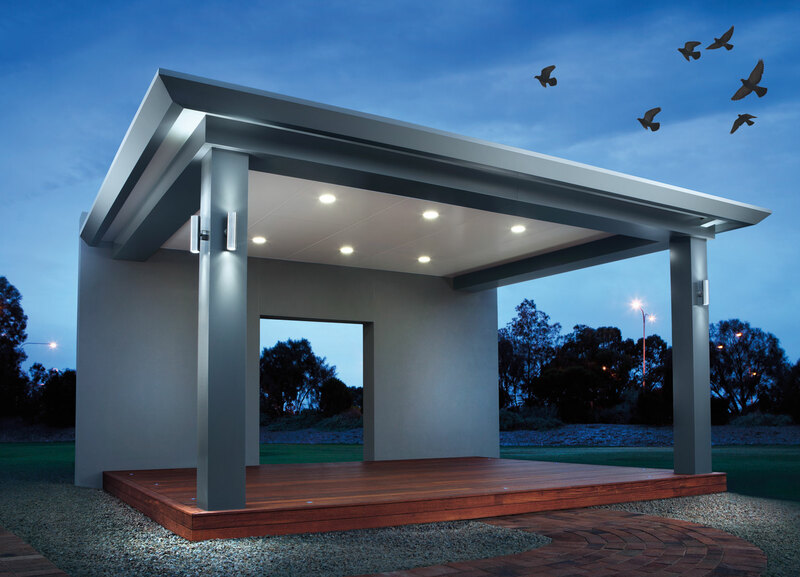 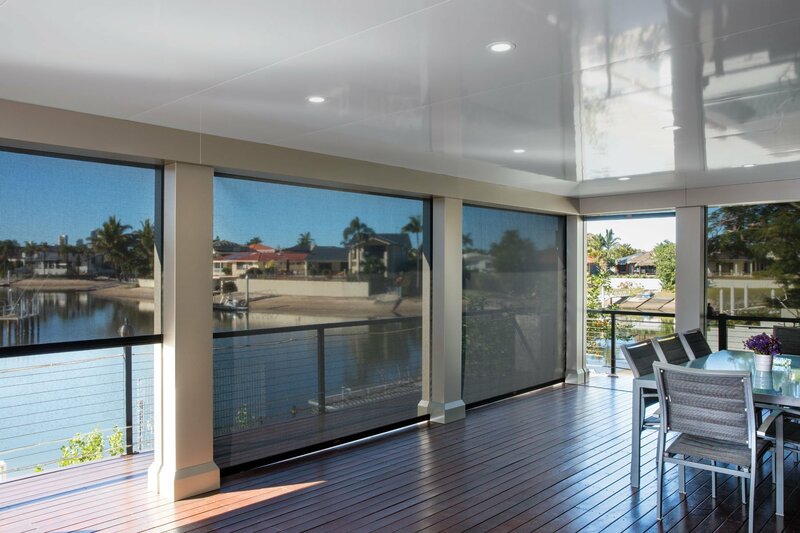 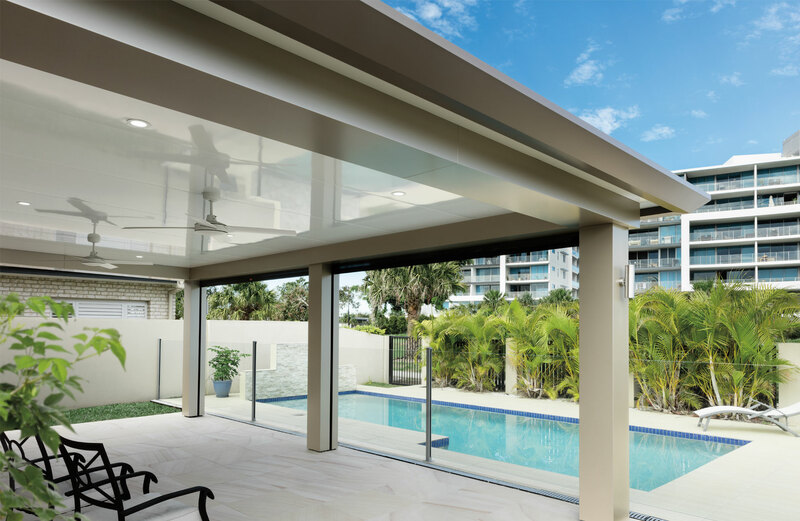 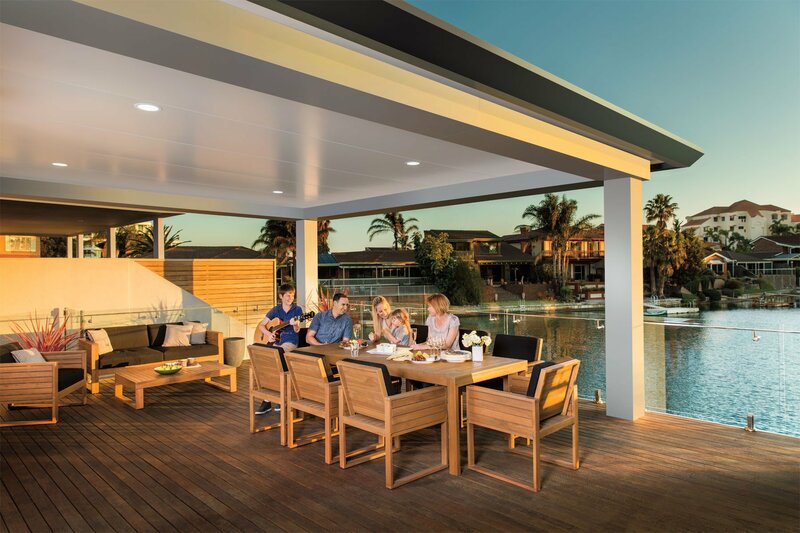 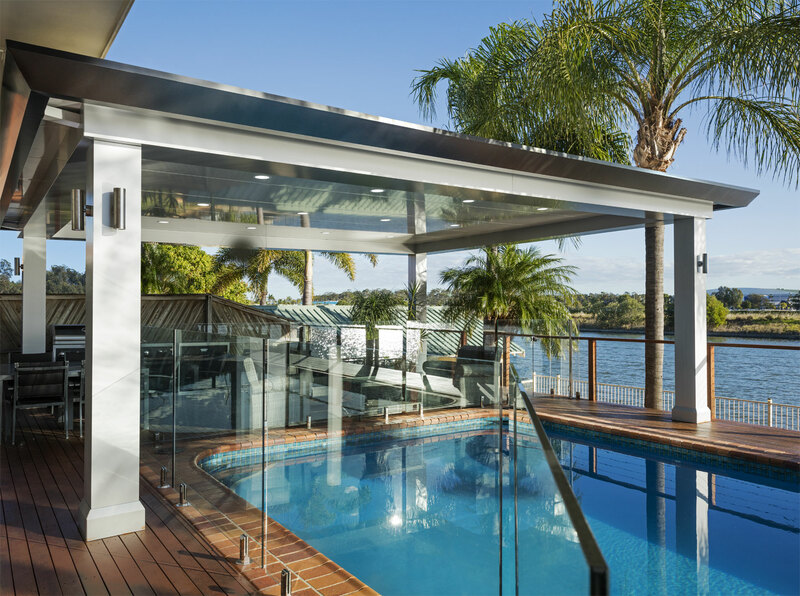 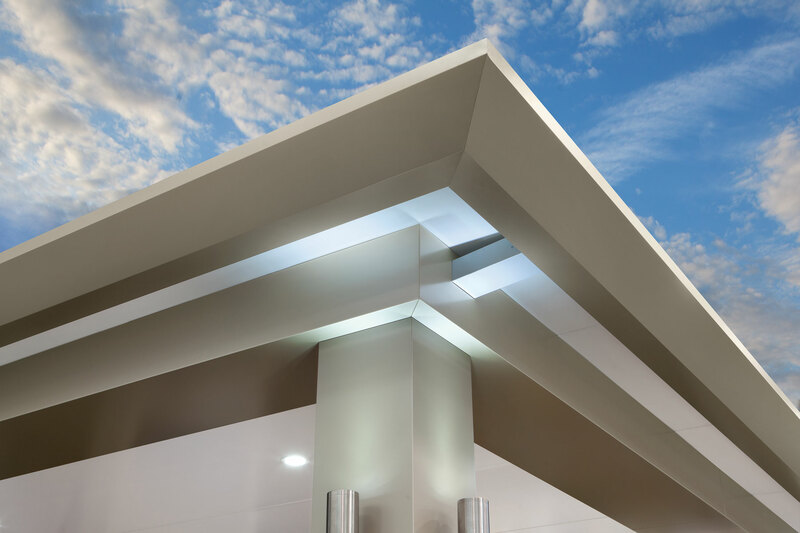 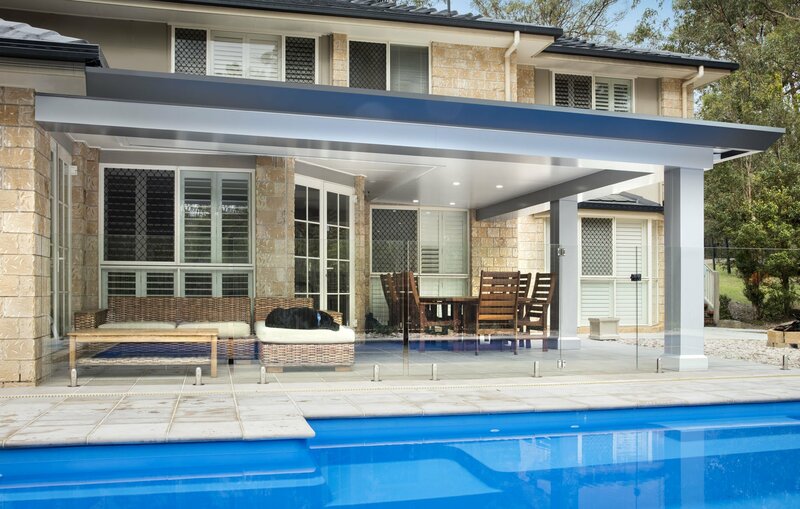 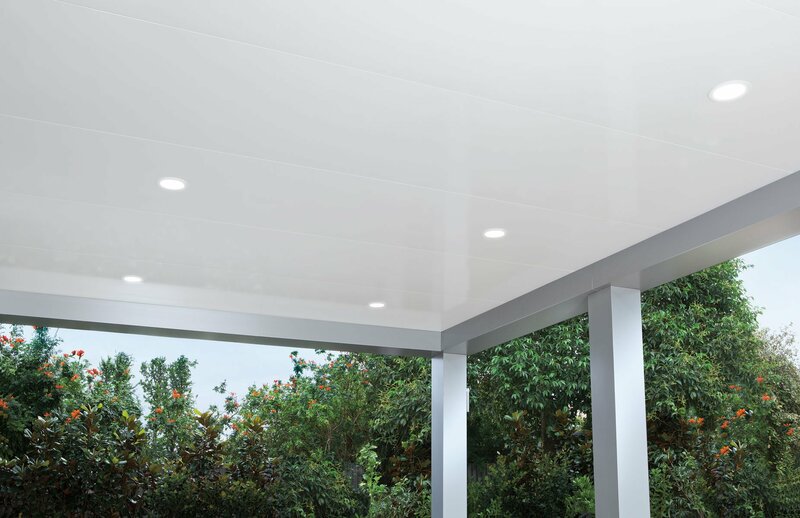 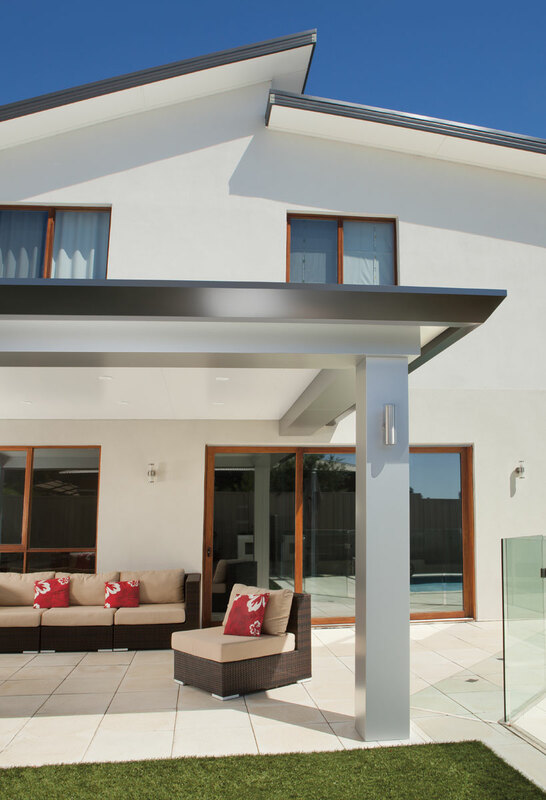 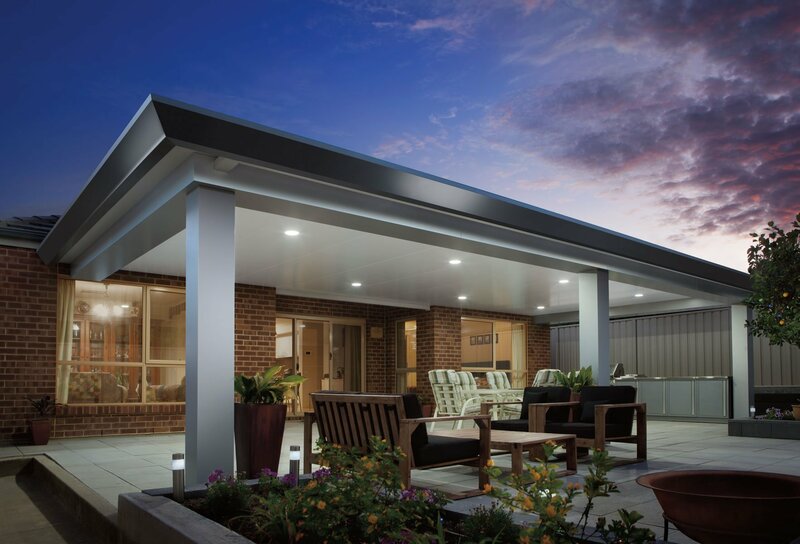 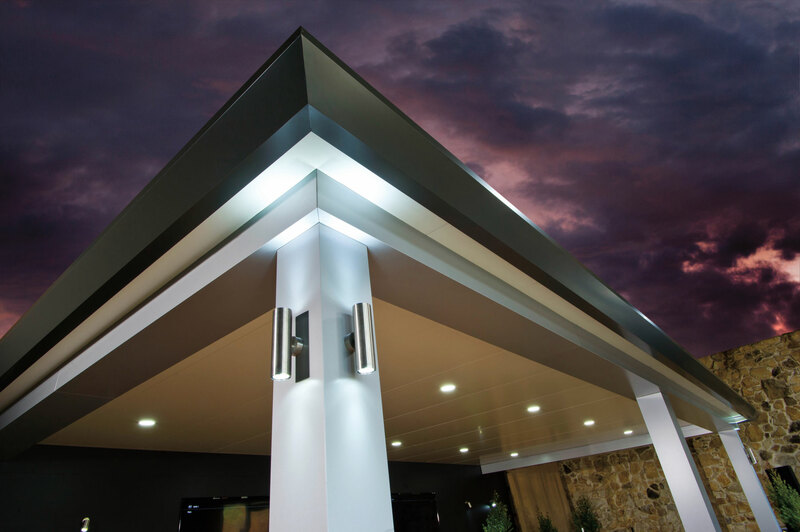 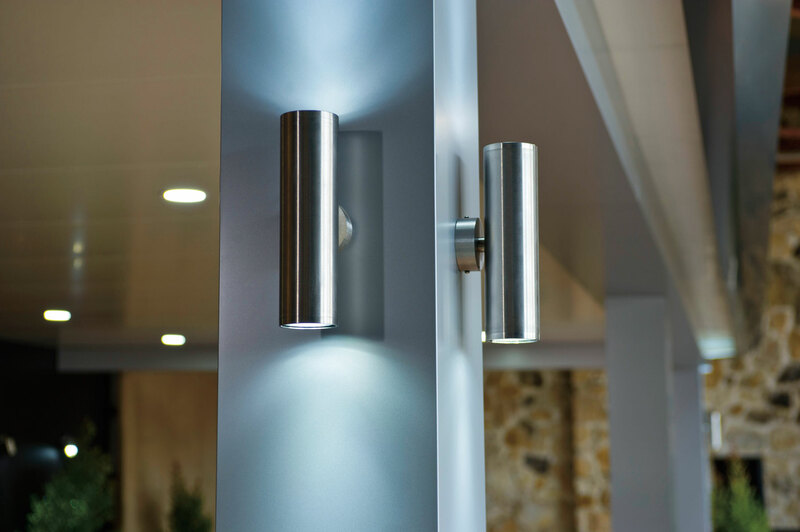 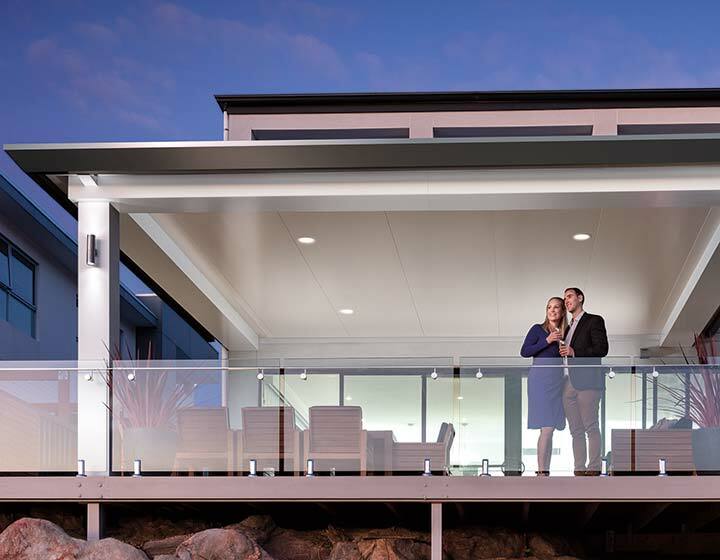 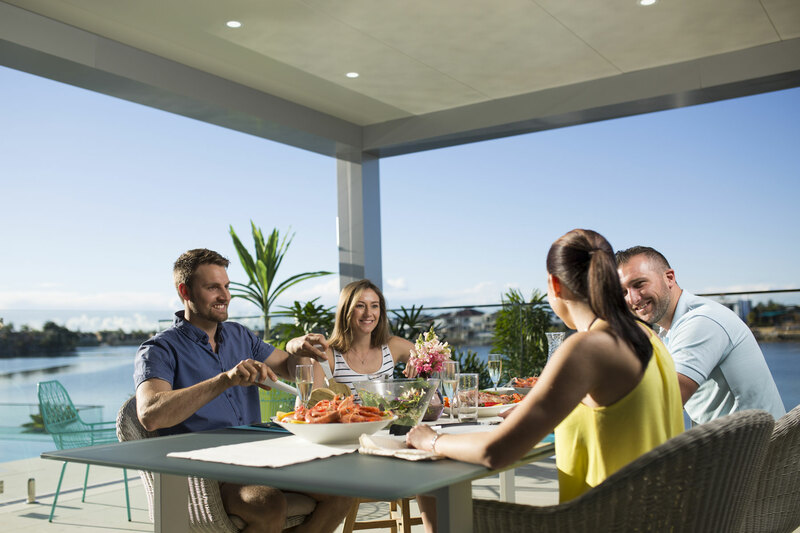 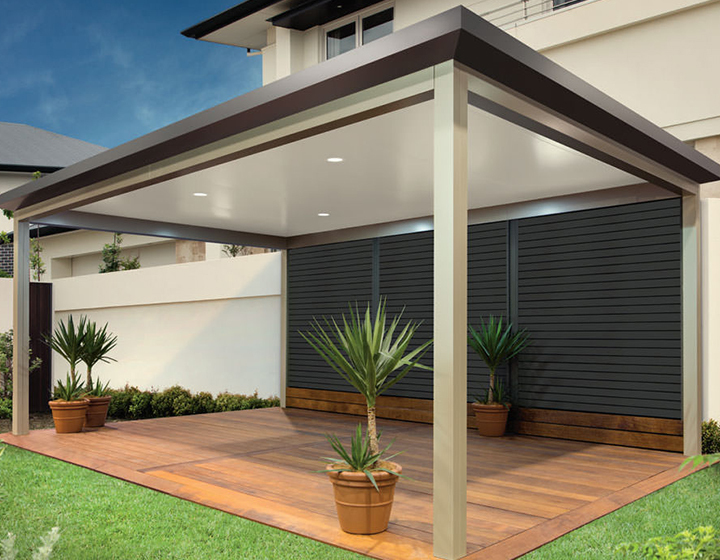 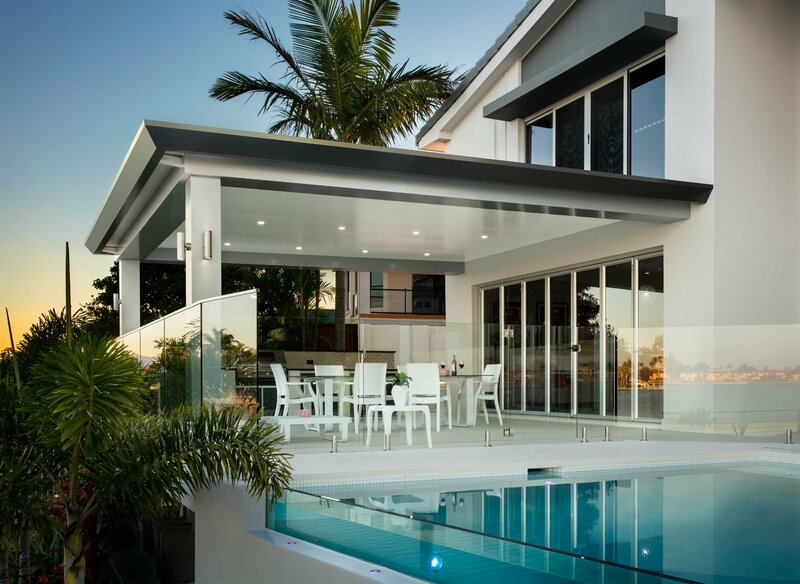 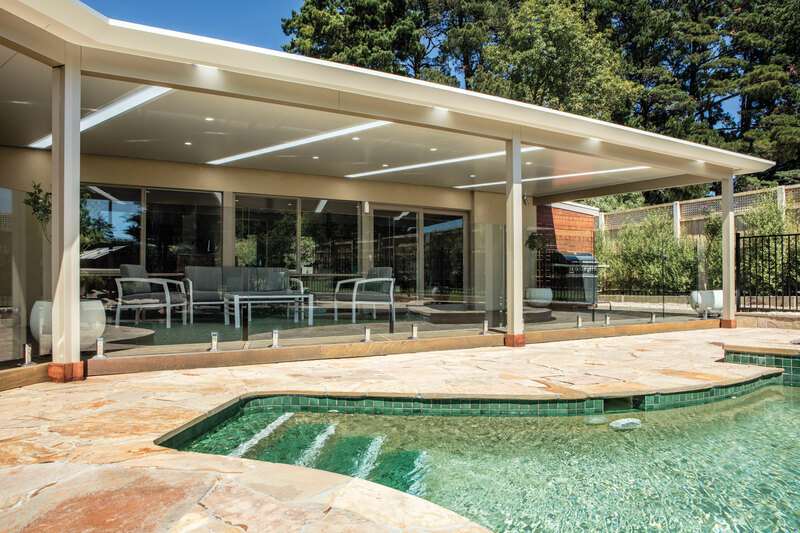 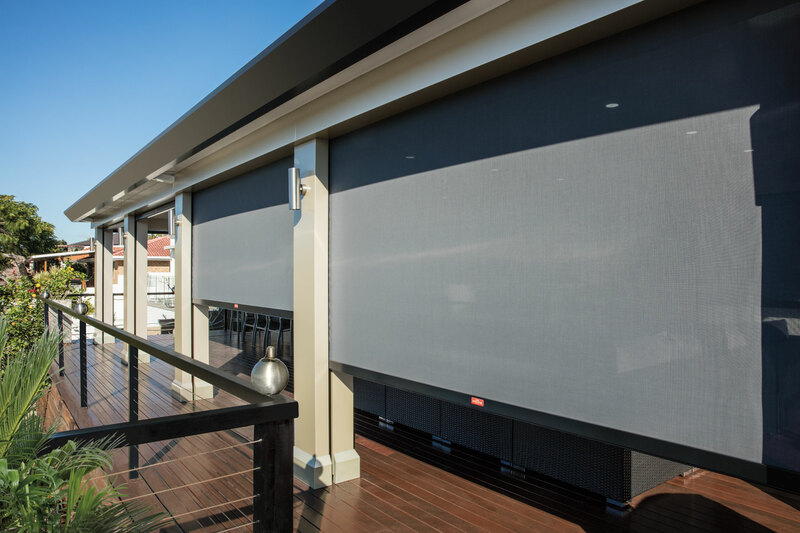 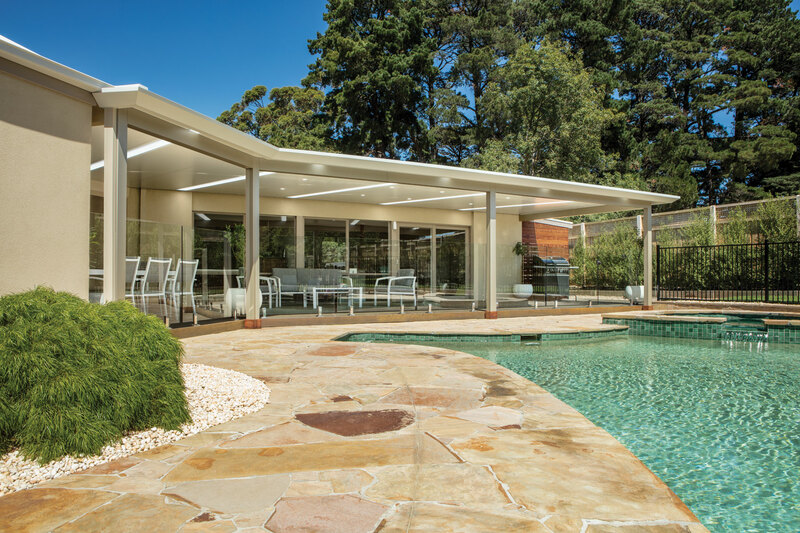 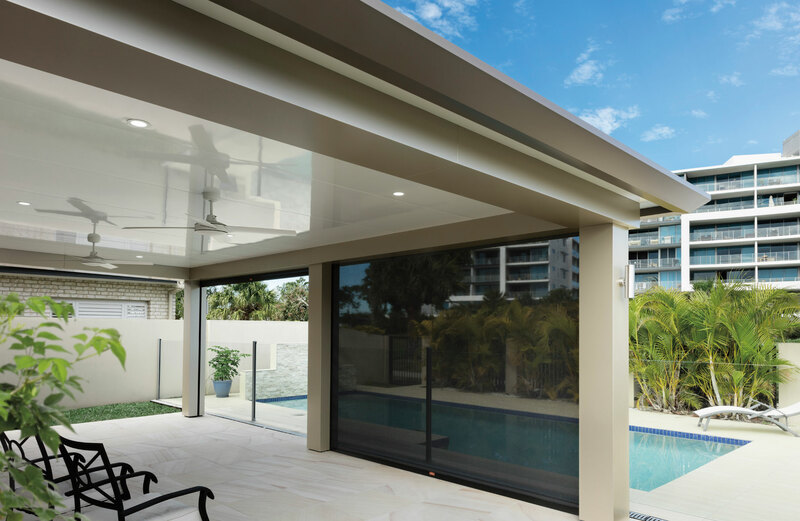 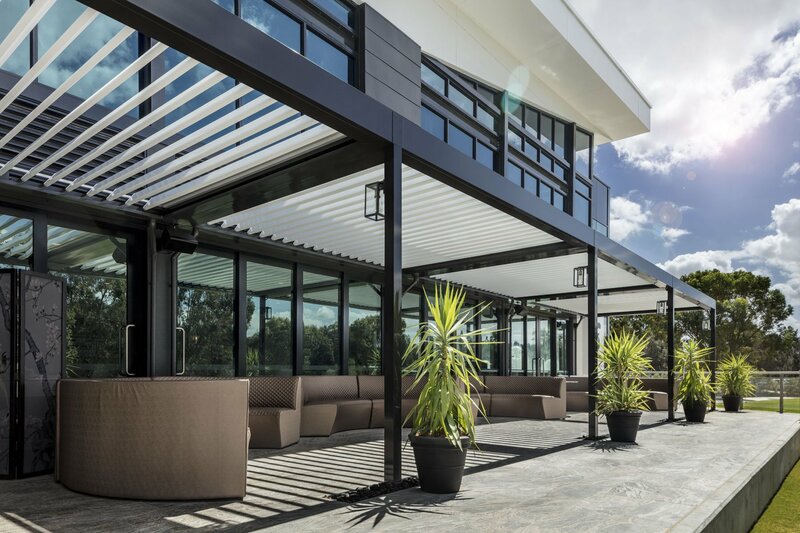 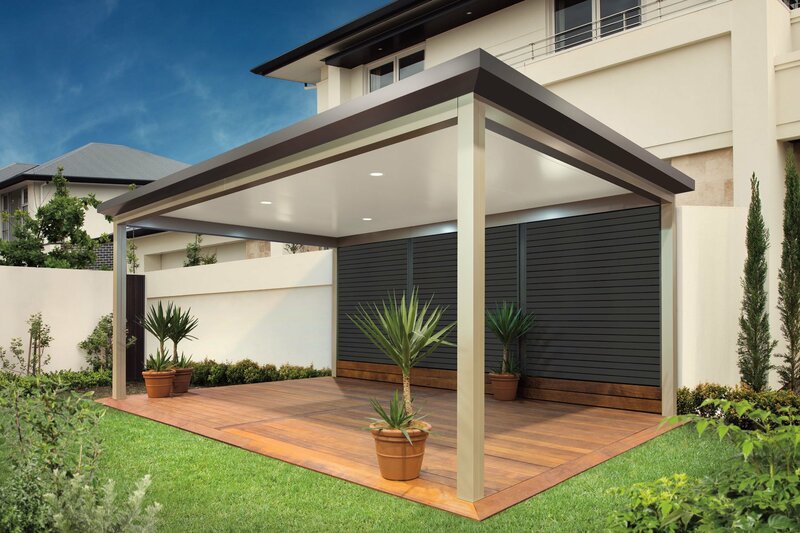 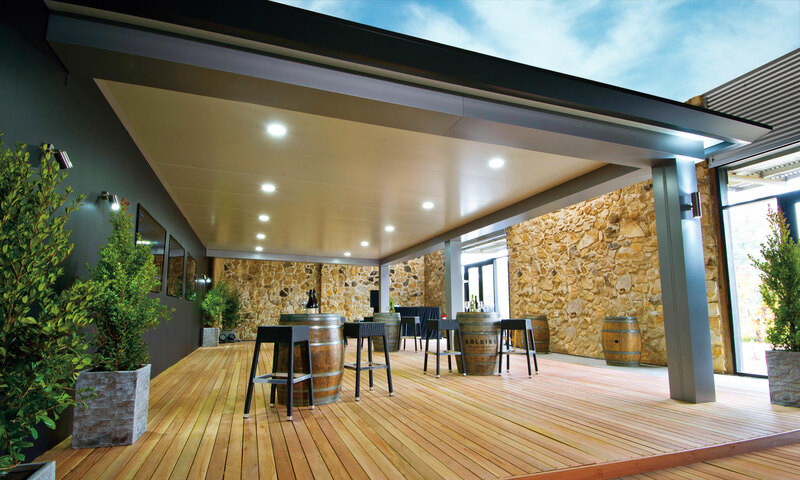 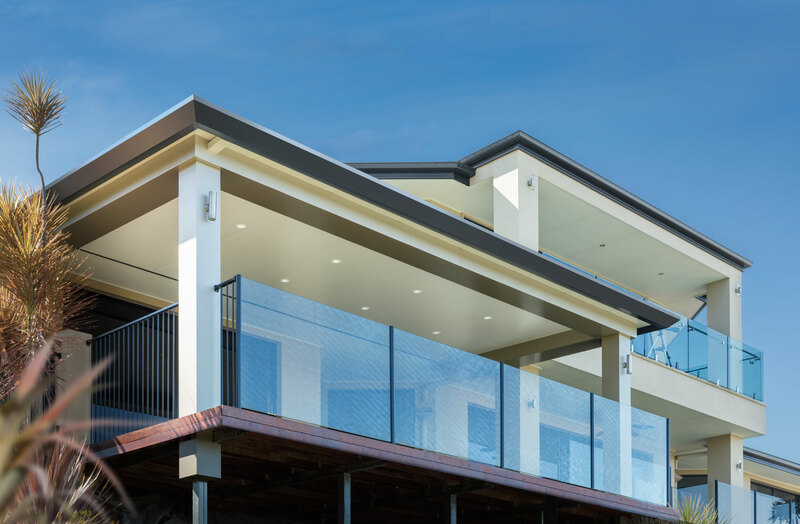 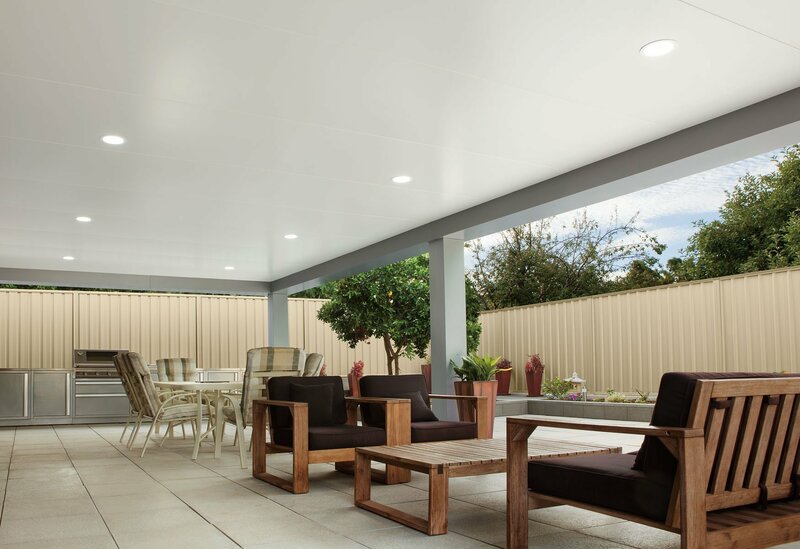 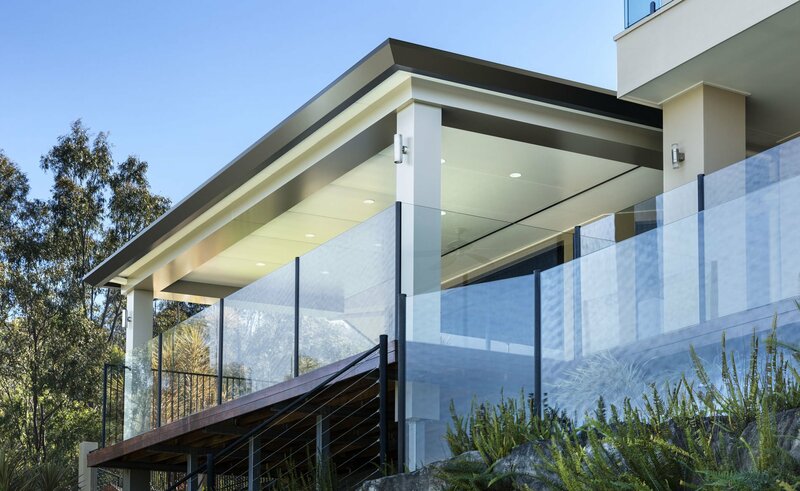 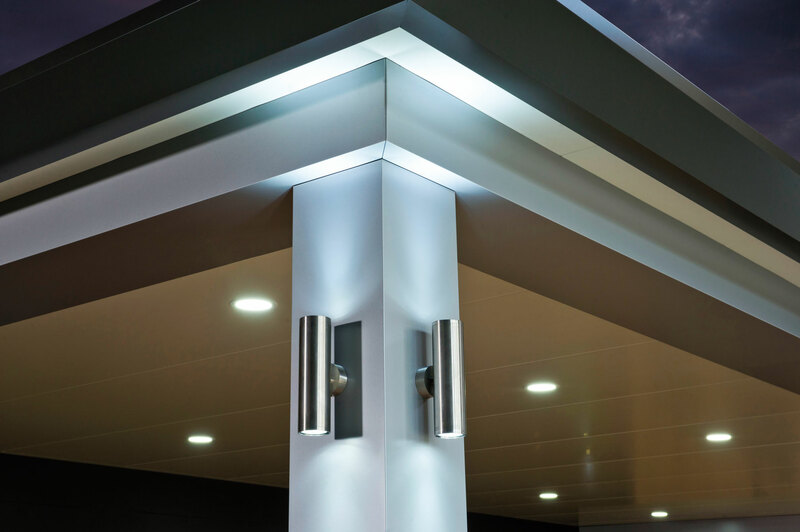 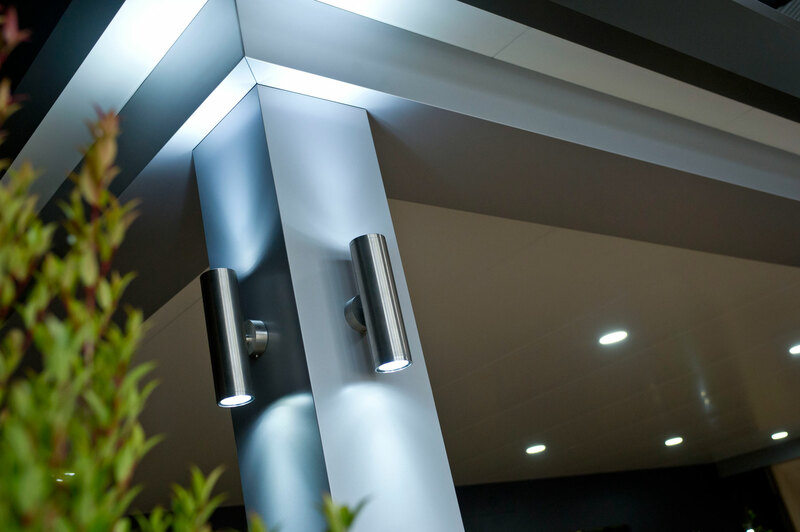 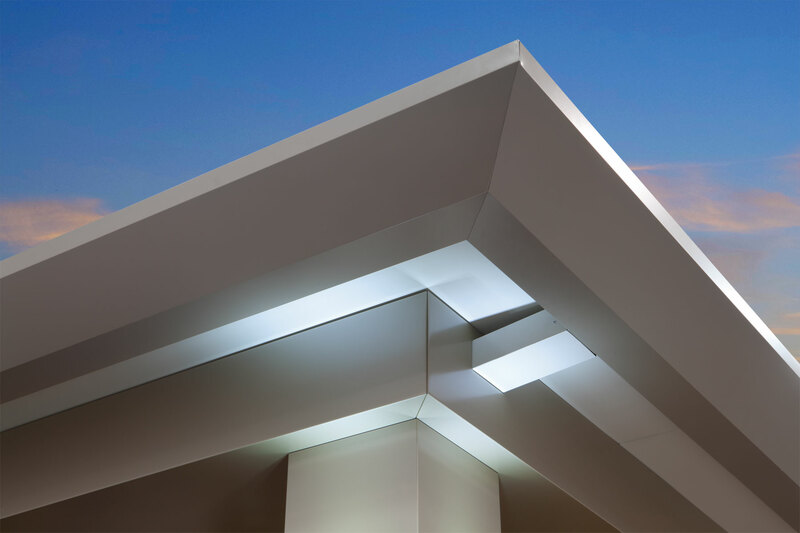 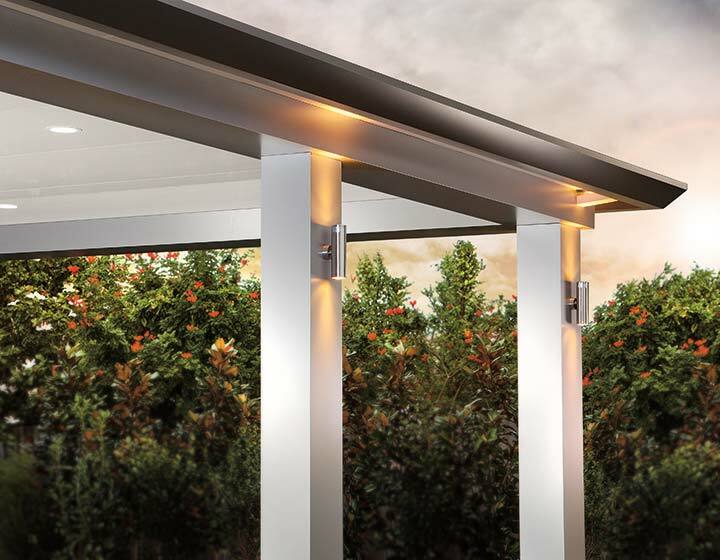 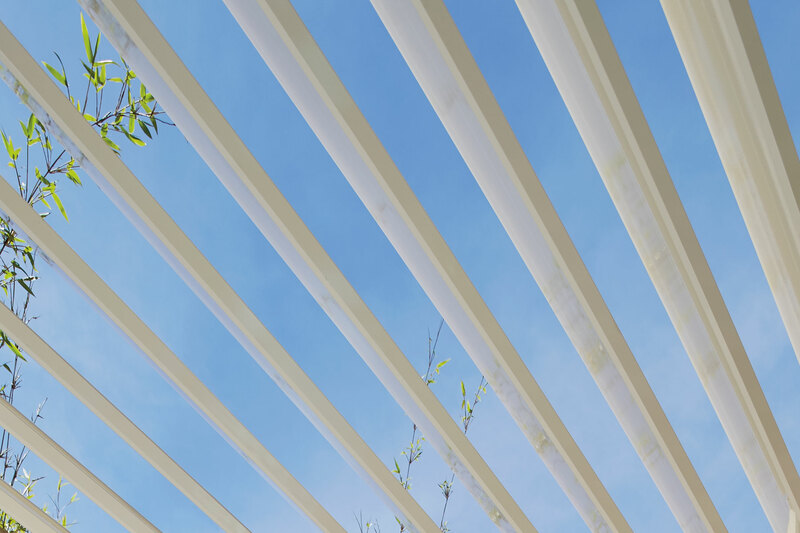 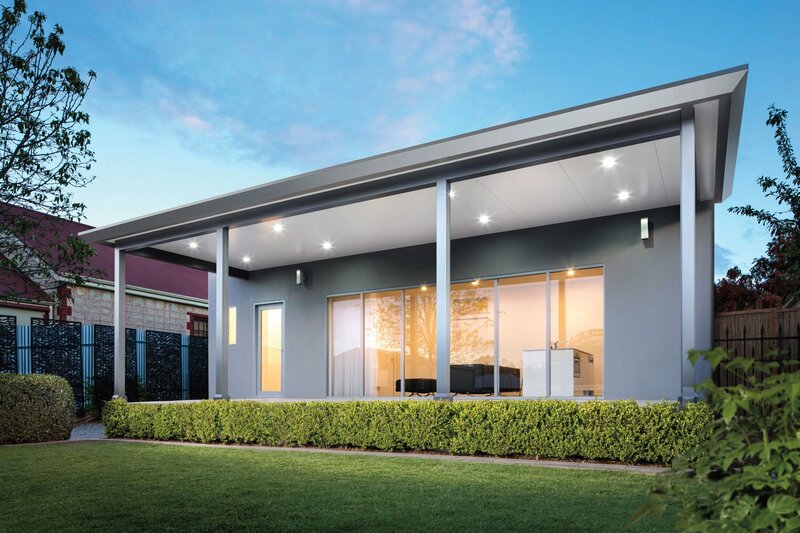 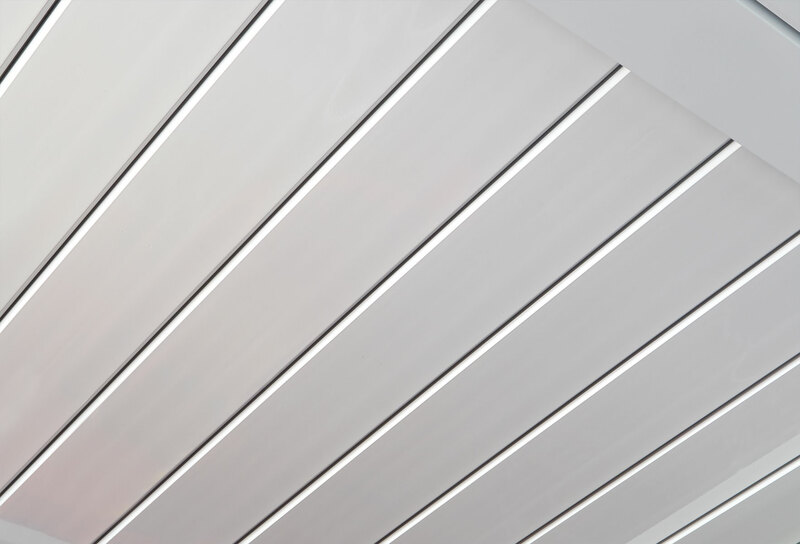 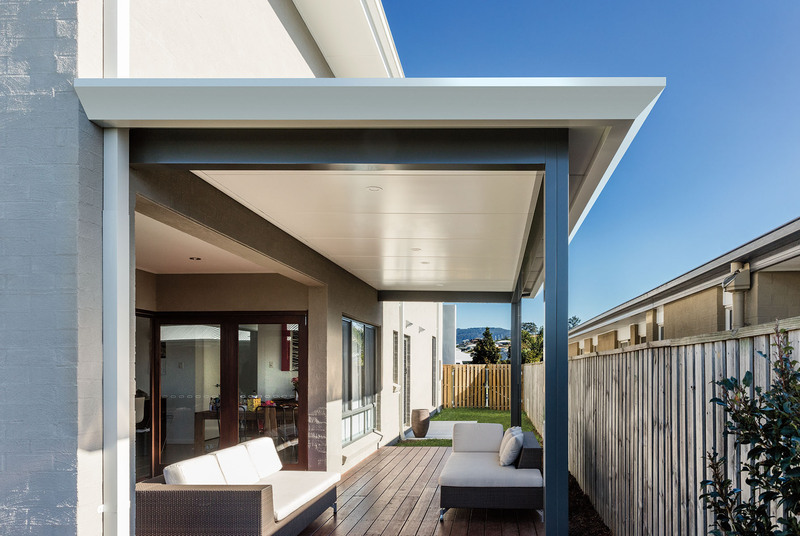 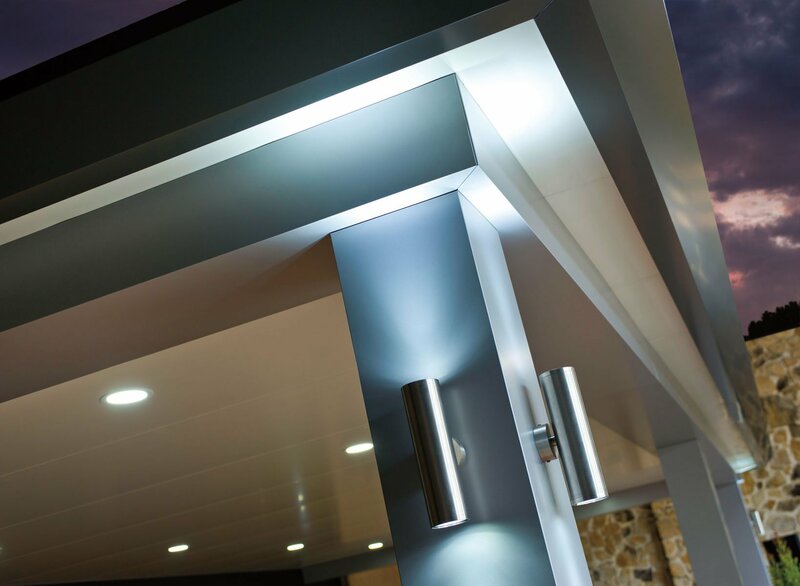 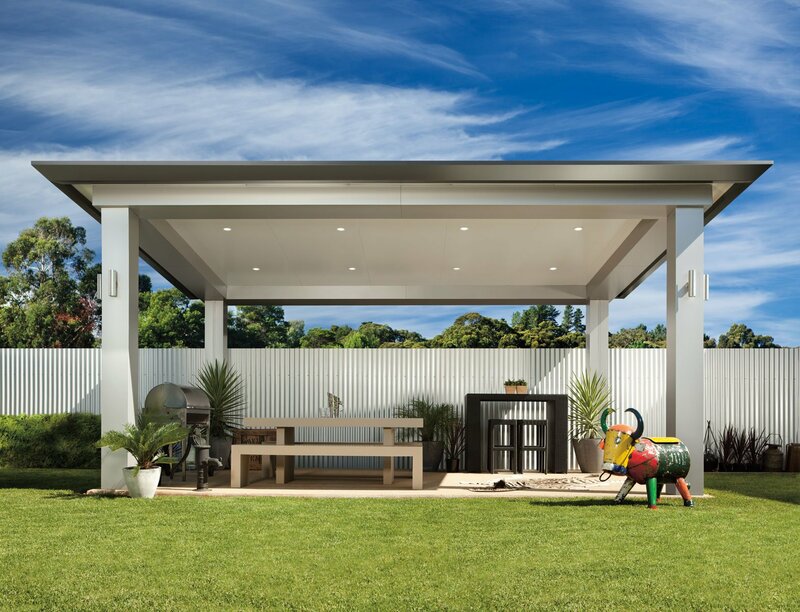 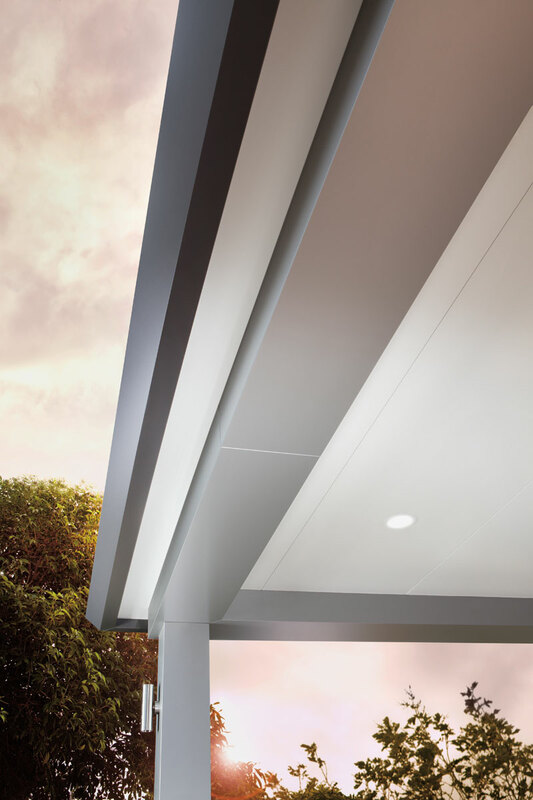 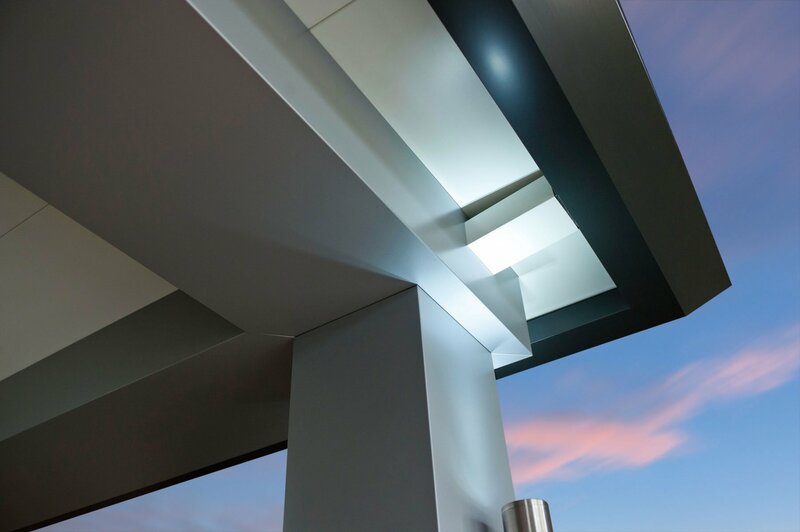 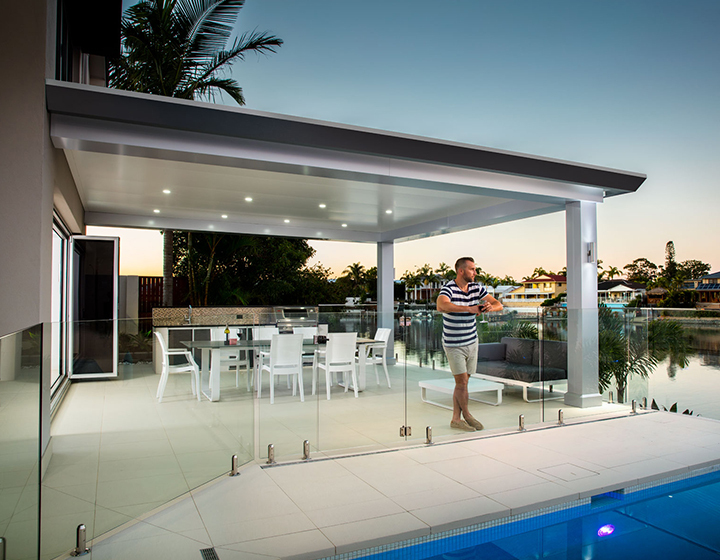 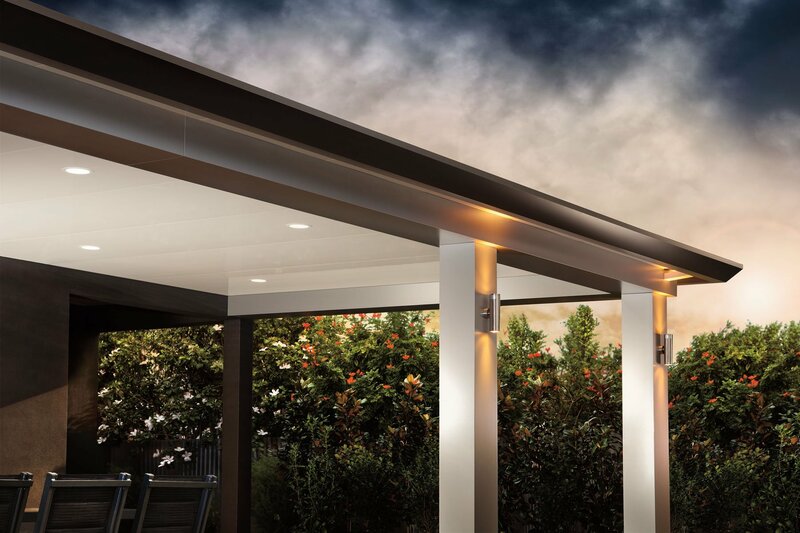 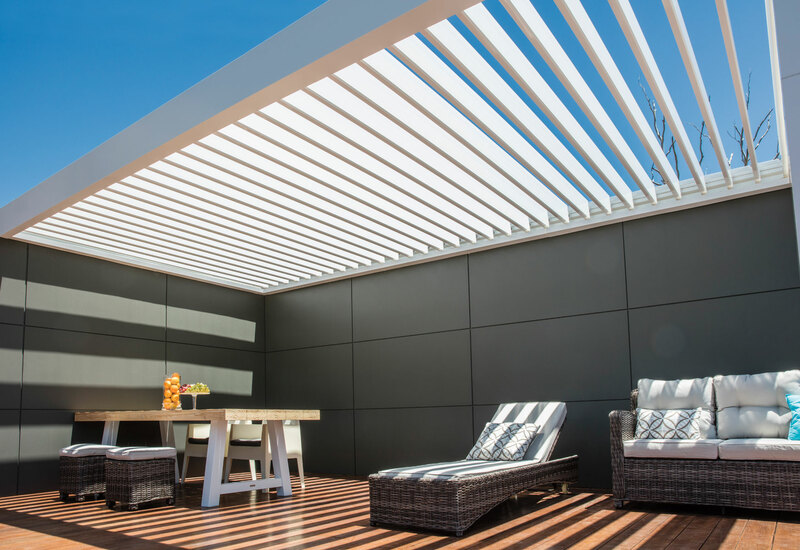 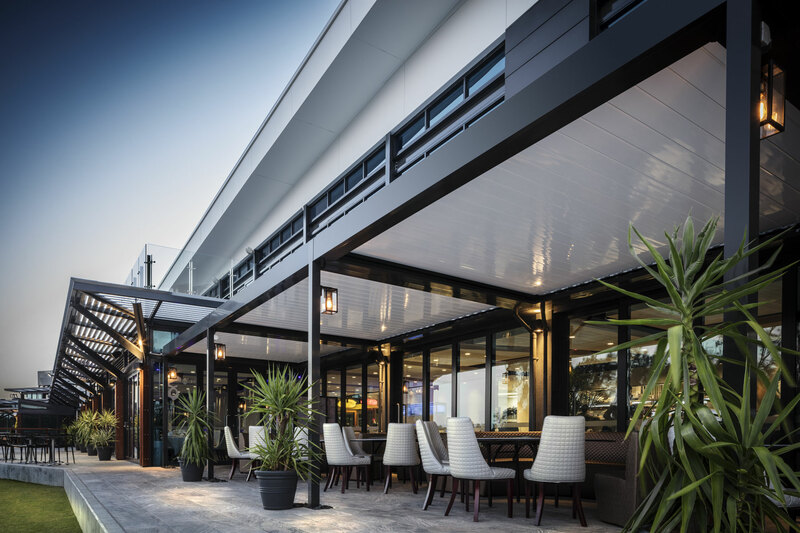 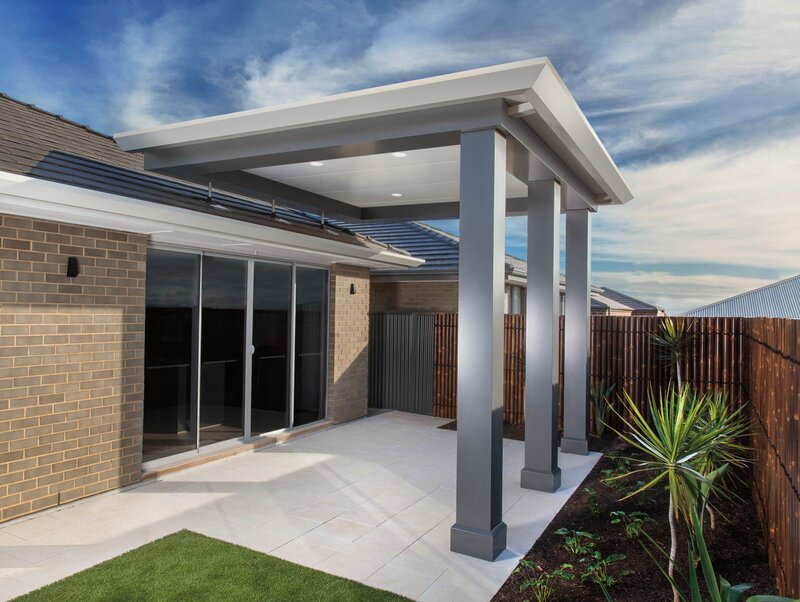 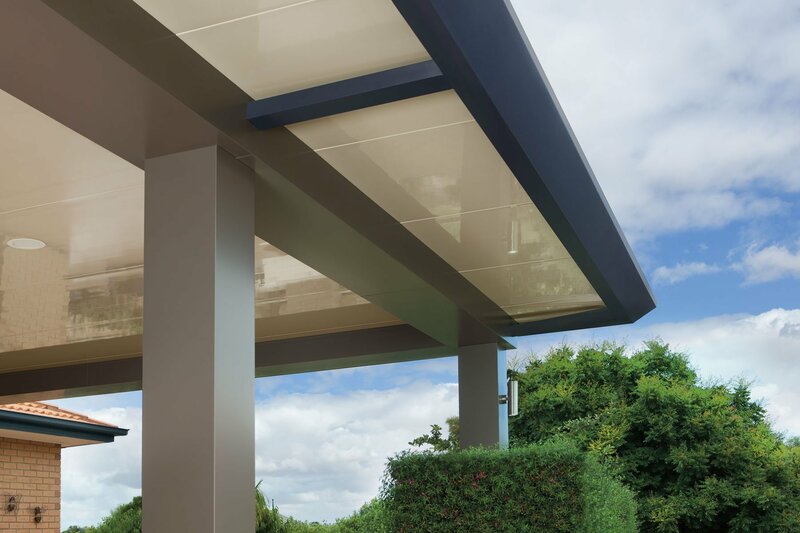 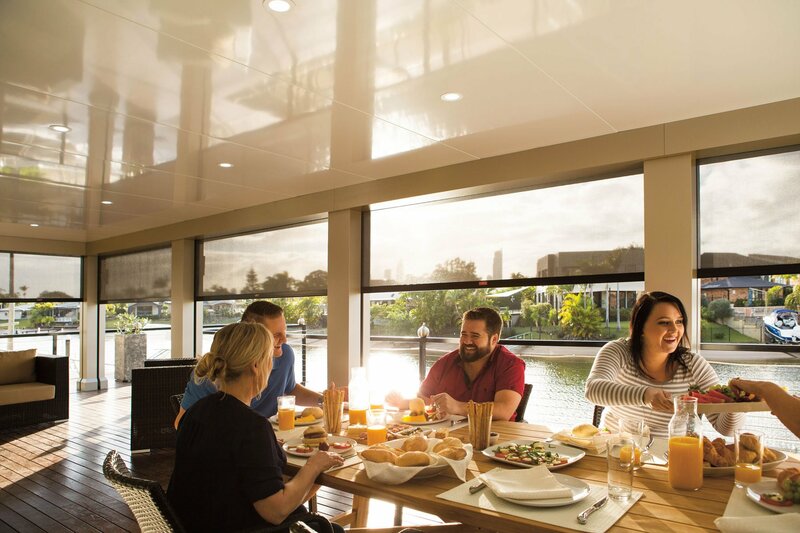 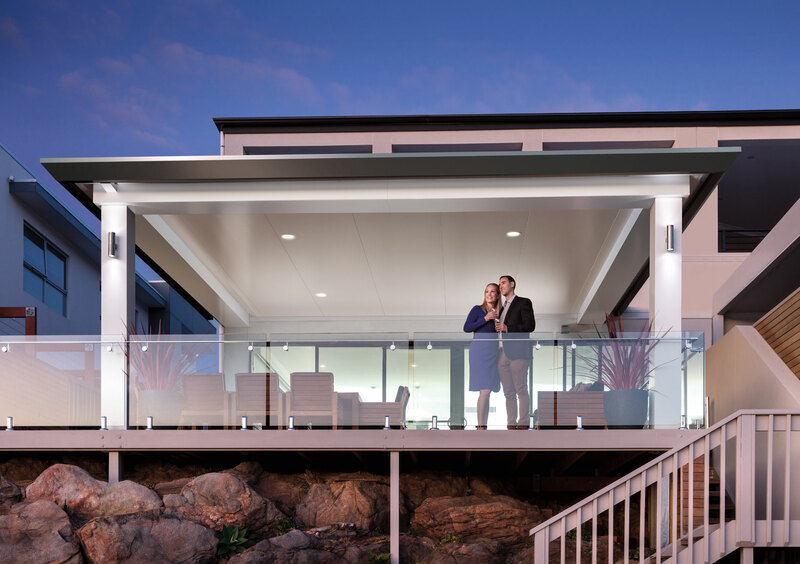 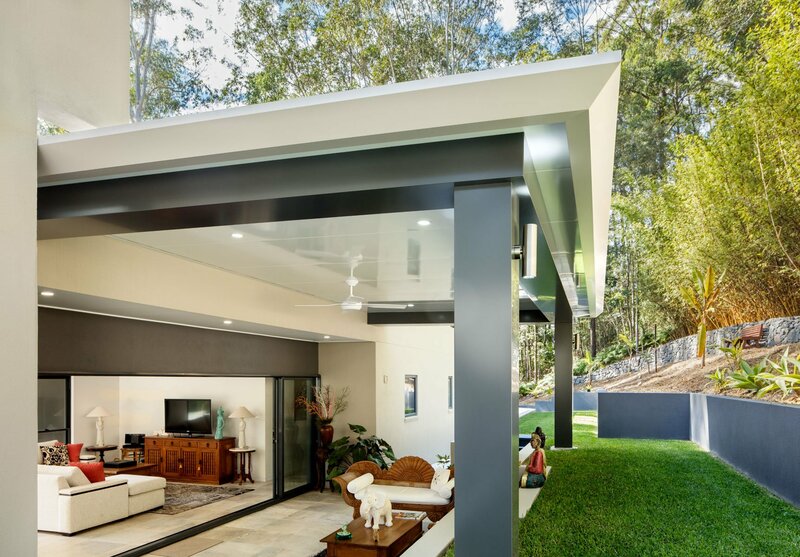 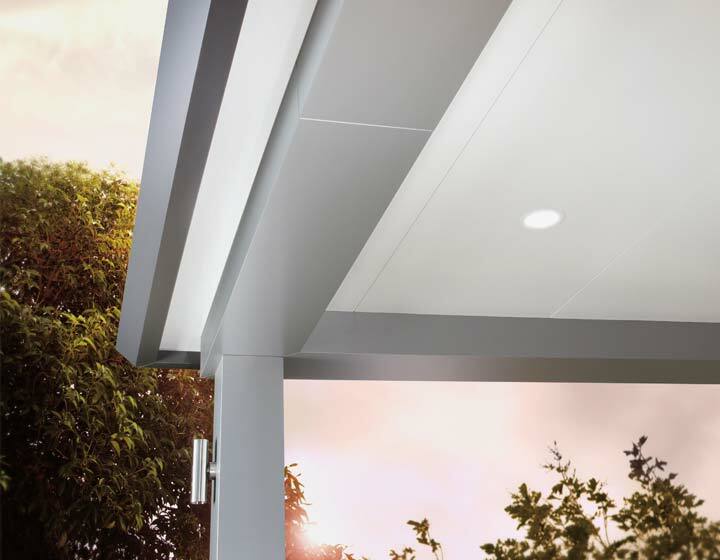 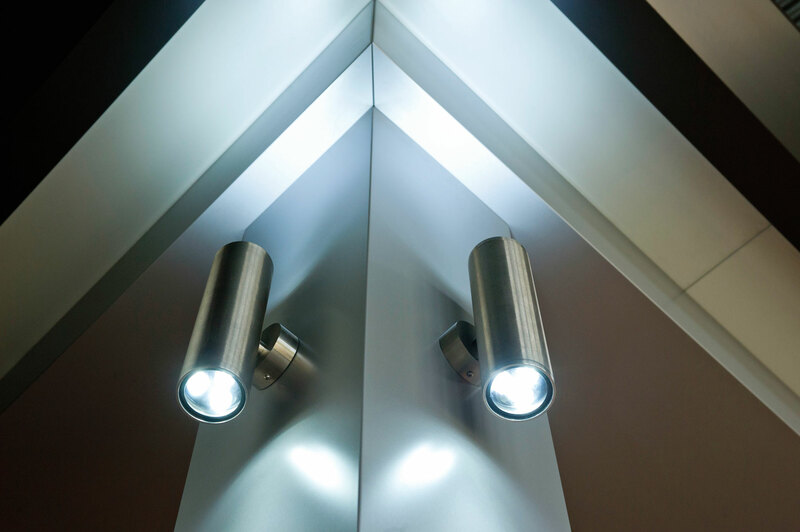 With meticulous details such as Aluminium Composite panels (popular in many commercial buildings and architectural projects), integrated LED lighting and concealed fasteners and downpipes, Pavilion adds an element of sophistication, elegance, and glamour to outdoor living. 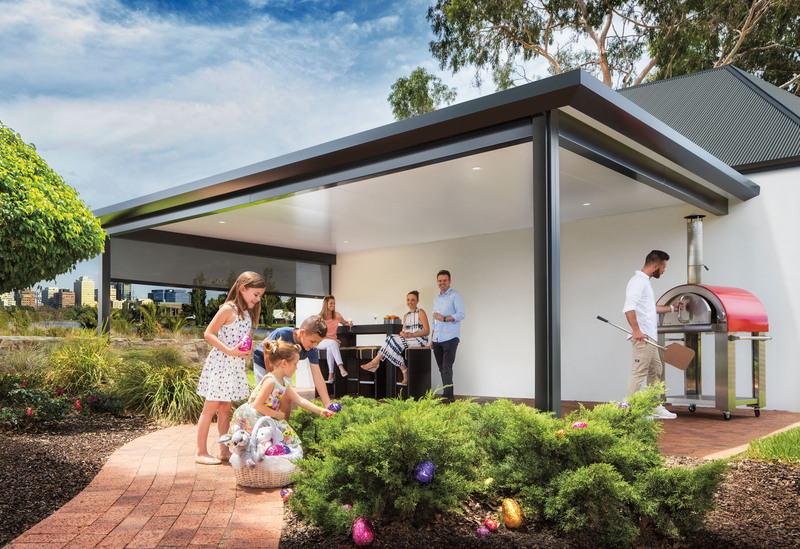 Suitable for new builds and retro-fit applications, freestanding or attached, Pavilion will assimilate with and enrich any home environment. 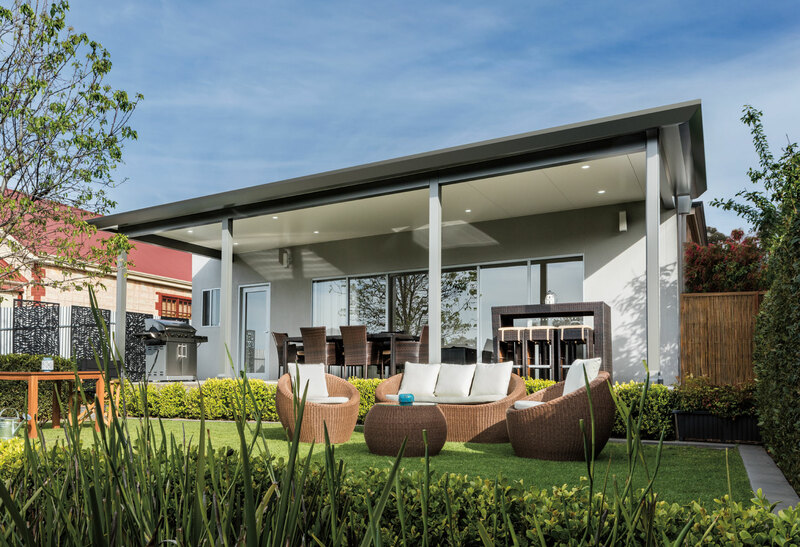 This is so much more than just an outdoor living area, this is... alfresco living redefined. 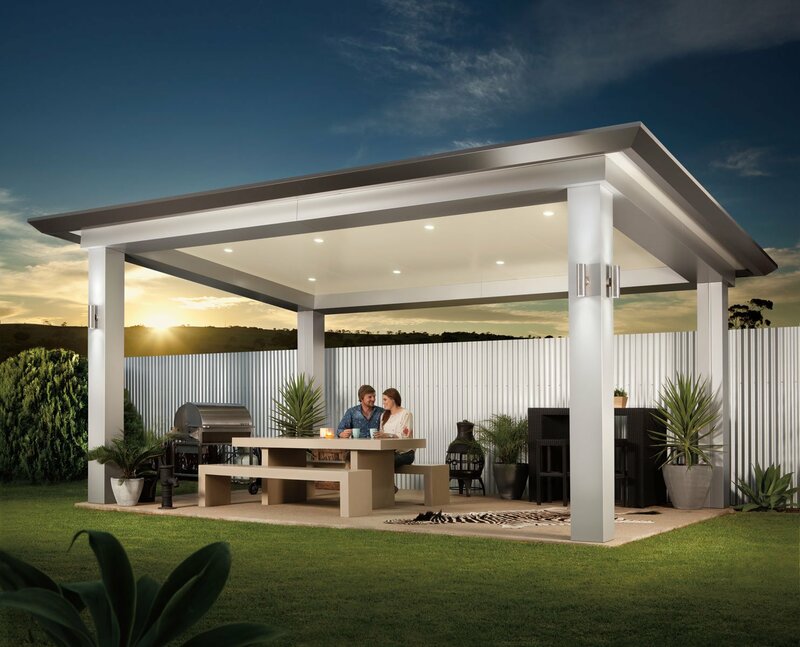 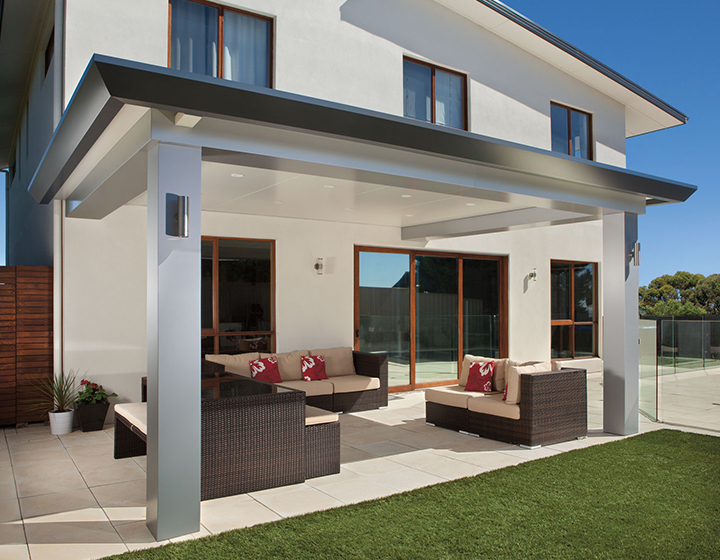 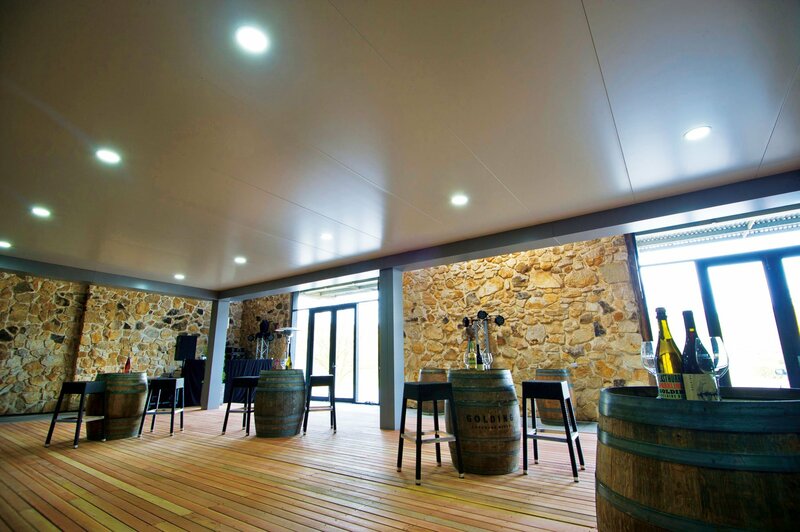 Due to the nature of the product, Pavilion is only available supplied and installed from an Authorised Pavilion Dealer. 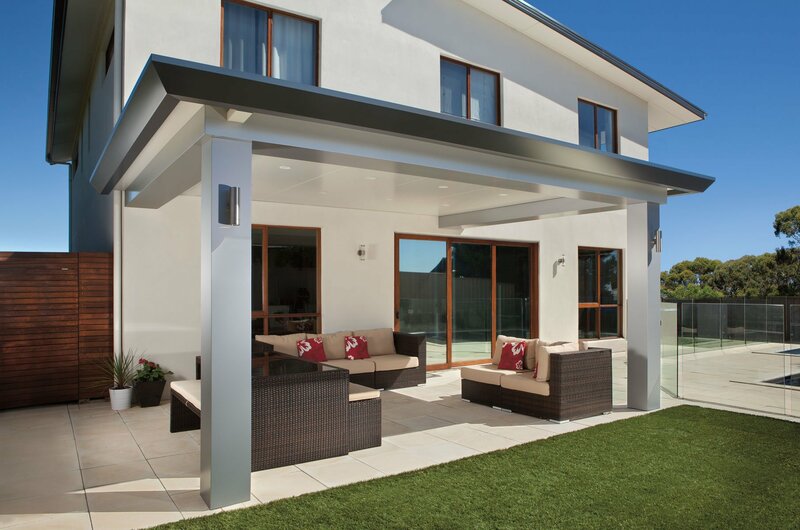 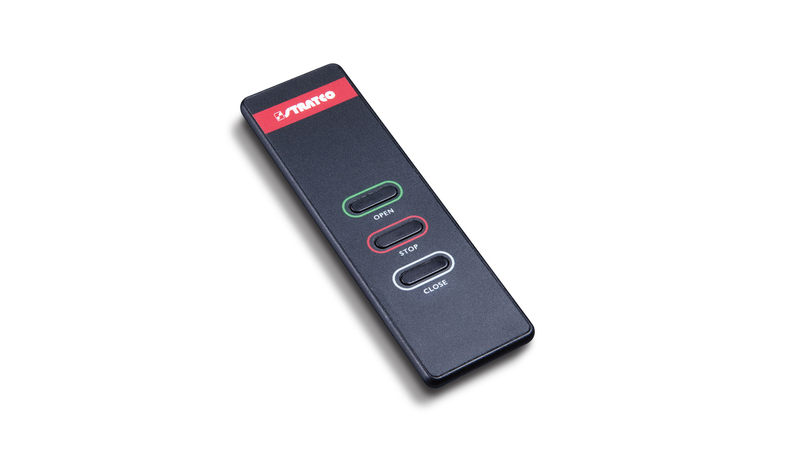 For a free on site measure and quote please register your interest.